Volunteers from Italy continue to inspire Andiamo workers with their dedication to work and hardworking spirit. Since a group of volunteers from Orizzonte Malawi led by Bruno arrived in Balaka on Friday, they have shown that they are not on sight seeing mission but to work. 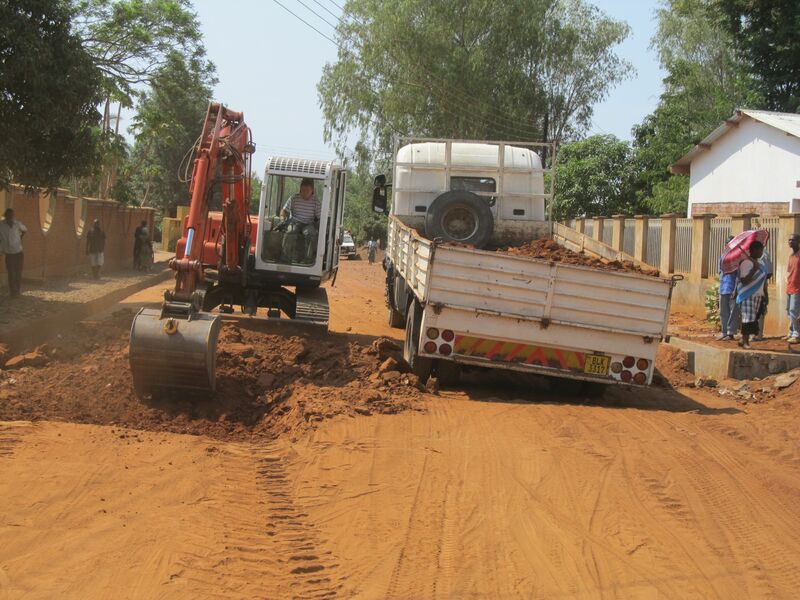 With the help of the excavator, they have already cleared the bush behind the boys’ hostel to pave way for the construction of a new road which will connect St. Augustine Primary School to Andiamo Youth Cooperative Trust (AYCT). Close to this road will be a Andiamo Primary School that “will prepare students well for the Secondary School” as is visioned by the founding trustee of AYCT, Fr Mario Pacifici. 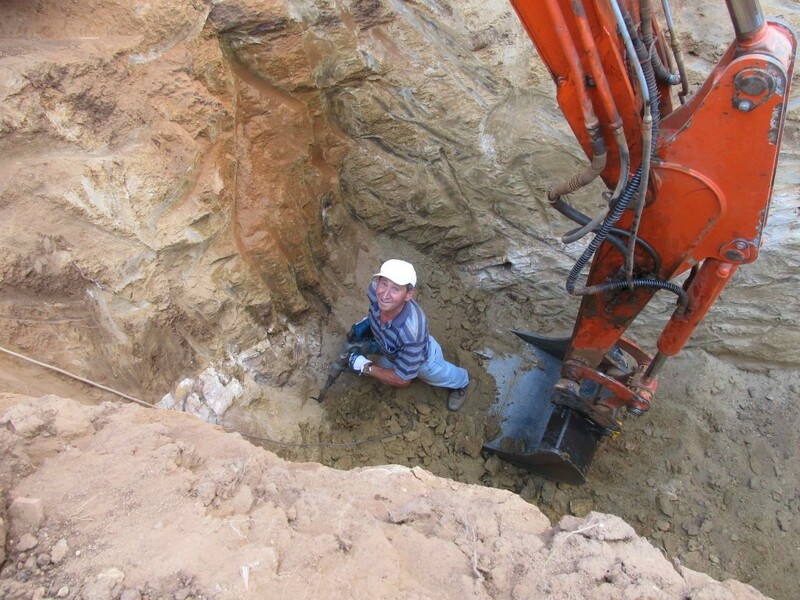 The excavator has also dug a pit latrine that will be used by all the boys from Andiamo Education Institutions once it is finished. The coming in of the excavator was long overdue as it is not only serving Andiamo but also our neighbours, Montfort Missionaries. The excavator was busy this morning working on a water drainage on the road that connects AYCT and the main road through the parish. The building section of AYCT will benefit a lot from the excavator as using it will shorten the time taken to clear building sites and even to dig foundations. 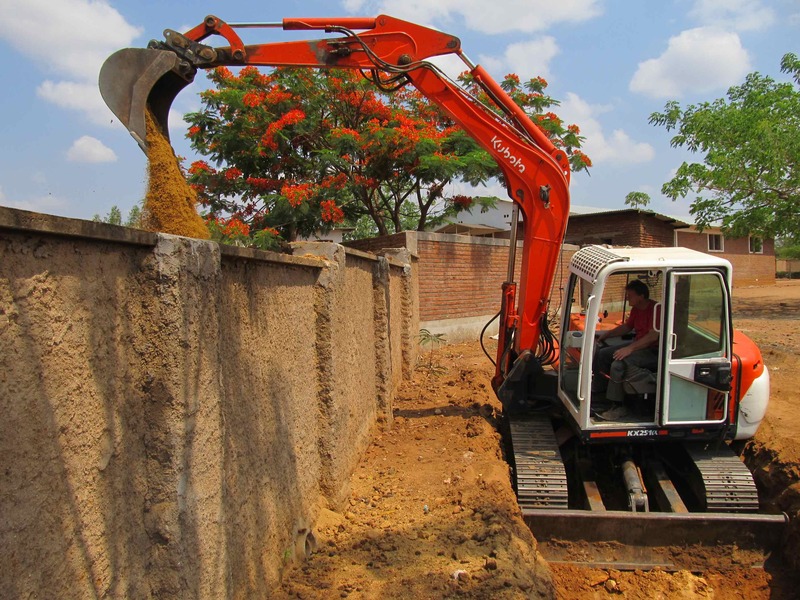 This entry was posted in Education, News from Malawi, Social Development and tagged Andiamo Youth Cooperative Trust, Excavator, Fr.Mario Pacifici, Orizzonte Malawi. Bookmark the permalink.